The exact beginning of hop cultivation lies in the dark. 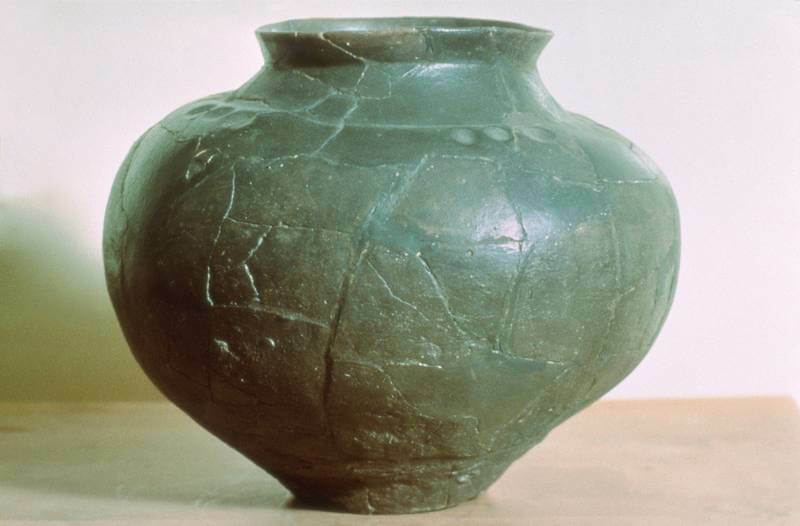 It is very likely that hop has been used as a therapeutic product already in antiquity. If it has also been used for breewing beer is, however, highly questionable. 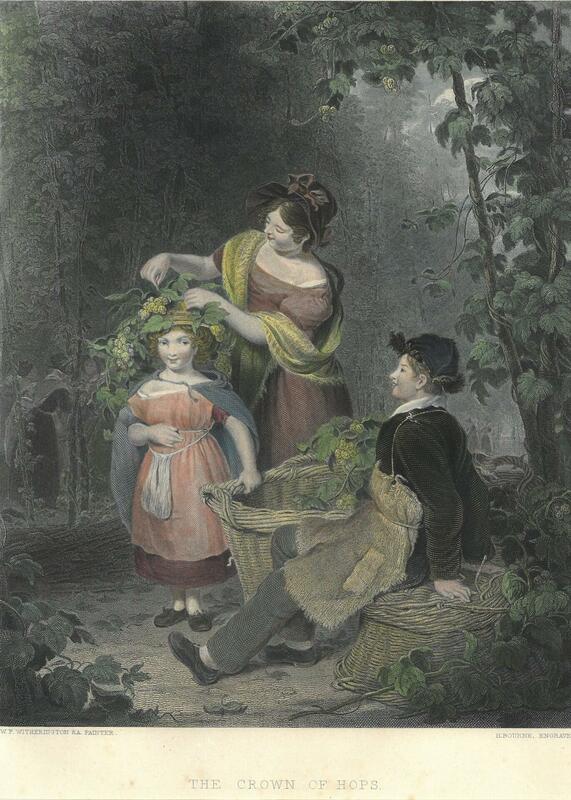 In Bavaria, there is evidence for hop cultivation from the Middle Ages onwards. Both, the little town of Geisenfeld and the village Gründl near Nandlstadt claim to be the origin of hop cultivation in the Hallertau. 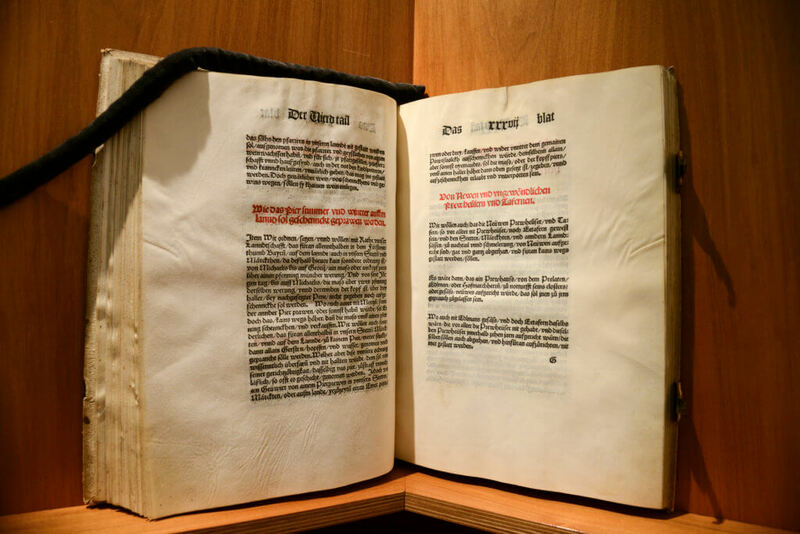 The first evidence that is founded by documents, however, is dated on the 9th. century. At that time, hop presumably has not been an ingredient of beer because of its taste but because of its antibacterial effect that extends the shelf-life of beer. The scholar Hildegard von Bingen wrote in her document in 1160: „putredines prohibet in amaritudine sua“ („Its bitterness prevents the rot”). 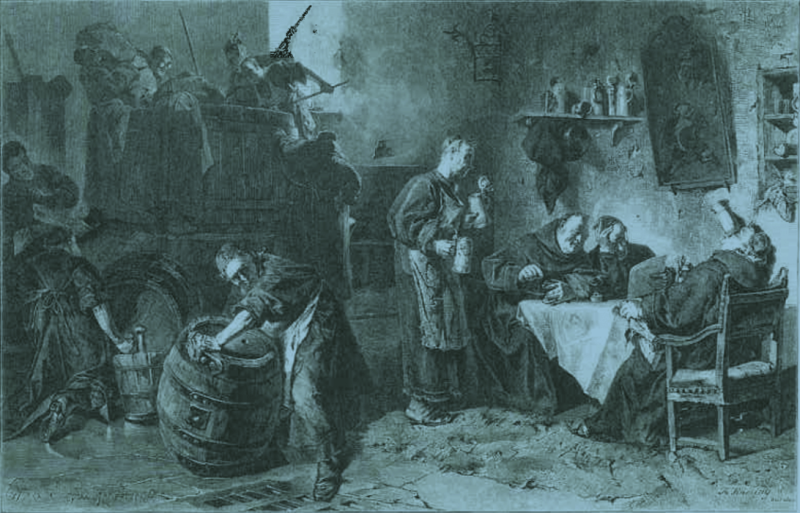 At this time, monks predominantly were responsible for beer breewing. In the High Middle Ages hop primarily was , due to the “Hanse”, cultivated in the north of Germany. Due to the demise of the “Hanse”, even the trade with and the cultivation of hop went down at this part of the country. 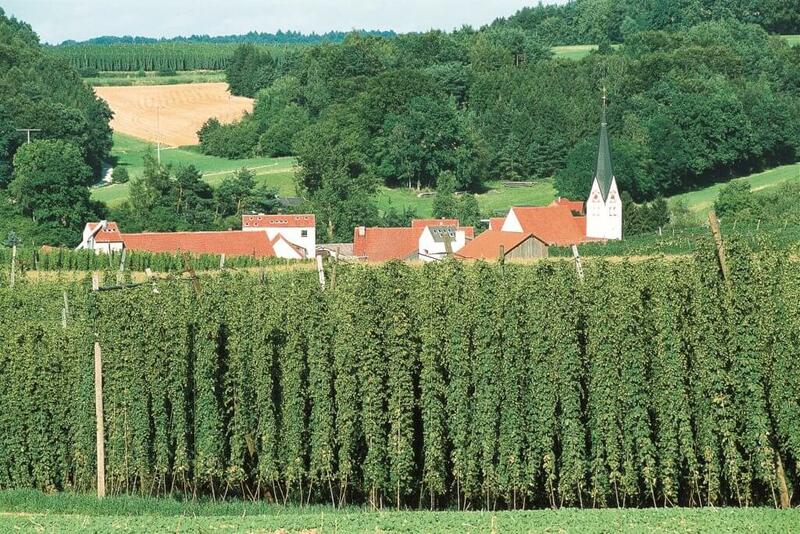 In the south of Germany, Spalt in Franconia became the first large hop growing area and has been given the first German hop seal already in 1538. In order to meet the need for hop in Nuremberg, some more areas for hop cultivation developed around Kinding, Altdorf and Neustadt a.d. Aisch. 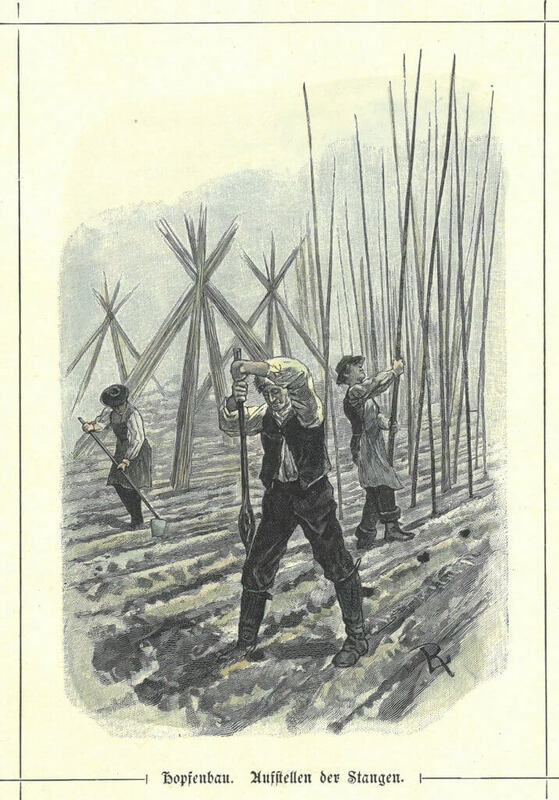 As a result of the 30-year war, it was not allowed to build new hop gardens until the economic recovery. The Hallertau has started to gain its importance in the 19th. century – a fact that was due to the good soil conditions and the excellent climate. Due to the high demand for hop, the area already had a demension of 1300 square kilometers in the 1920s. Wolnzach has been given the first Hallertauer hop seal in 1834; over time 14 seal districts have developed. Today, the Hallertau includes 2400 square kilometers with 912 active hop farms.